Green Kid Crafts have released a sneak peek for their 2017 summer boxes! This summer, keep kids’ minds stimulated–and combat summer brain drain–with Green Kid Crafts’ new Summer Science Series! Each month, you’ll receive a new Discovery Box full of engaging summer-friendly science activities. Our summer Discovery Boxes include Robot Workshop in May, Ocean Science in June, Kitchen Science in July and Water Science in August. 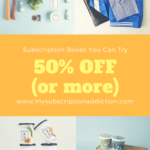 If you want to sign up for a regular Green Kid Crafts subscription, use code SUBADDICT50 to save 50% off your first month! 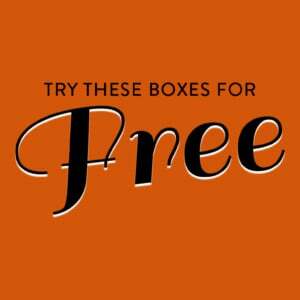 (Regularly $19.95 a month plus $5 shipping) *This coupon code cannot be applied to the new Deluxe Subscriptions. Now through 5/16, use coupon code FREE1 to get one month free with a 6-month subscription or use coupon code FREE3 to get three months free with a 12-month subscription. Do you know if it’s too late to get May? I think my kids would love that one.